Vietnam in March offers travelers many destinations to discover. Nice weather, breath-taking Vietnam landscapes or friendly locals are top characteristics of tourism and entertainment activities in this month. So, which most beautiful places for you to choose your amazing Vietnam tour and see more about all the above advantages. Let’s take a quick look at our most beautiful places in Vietnam in March across 3 areas. Thus, you can see the whole charm of histories, cultures and Vietnamese people in every single destination. The key characteristic of flower season in Tay Nguyen area is beautiful coffee flowers. March is the peak season of coffee blossoms. Therefore, Tay Nguyen is worth your choice of top beautiful place to visit in Vietnam at that time. In detail, Pleiku and Buon Ma Thuot are two cities having the largest planting area of coffee fields in Tay Nguyen. So, you can bound your perfect destination to view these charming landscape. When all flowers are blooming to the fullest, you may be surprised by the unbelievable change of color here. Yesterday, you could see the green fields. But the next day, the whole scenery will be transformed into the white tone of fresh coffee flowers. Take your chance and join Vietnam travel in March in Tay Nguyen! Because coffee flowers only bloom 2-3 times until the end of spring. After blossom time, they will quickly be faded very fast and then turn into coffee fruits in a few days. 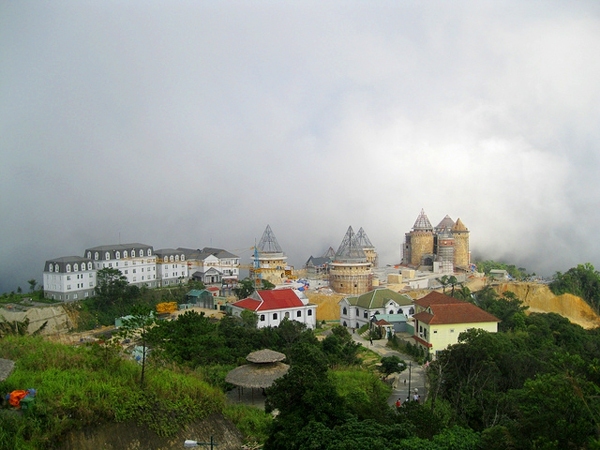 Let’s become one of the luckiest ones to sightseeing this amazing time in Tay Nguyen. Remember to choose your ideal Tay Nguyen tour at the end of February and early March, when the coffee blossoms are most pretty. In this dry season, it is easy to hang out and picturesque scenes. In contrast, in May, the rainy season prevents you from going sightseeing. Being the “cradle” of Tay Nguyen, Dak Lak delivers various cultural features from people to the amazing land. In March, besides the magnificence of coffee flowers, you can join a lot of local festivals like Elephant Racing Festival at Krong Na Village, Buon Don District, Dak Lak. Moreover, visitors can taste many great roast/ grinder coffee on the spot. There are lots of tropical fruits and pepper flute here that take your heart away. 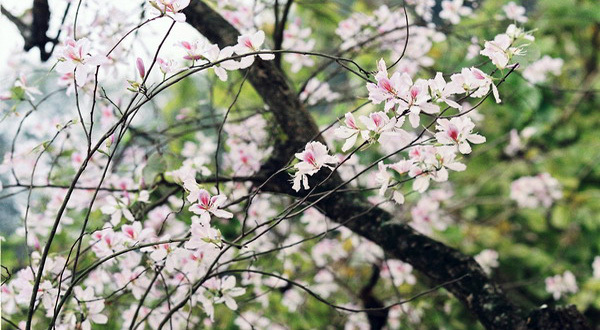 March is the beginning time in the dry season of Hue, so it will be less rainy. Thus, it is more convenient for tourists to experience Vietnam travel in March in Hue this season. That sounds extremely cool but you should also wear a long sleeved shirt. That helps to keep your body warm in case the weather changes cold. 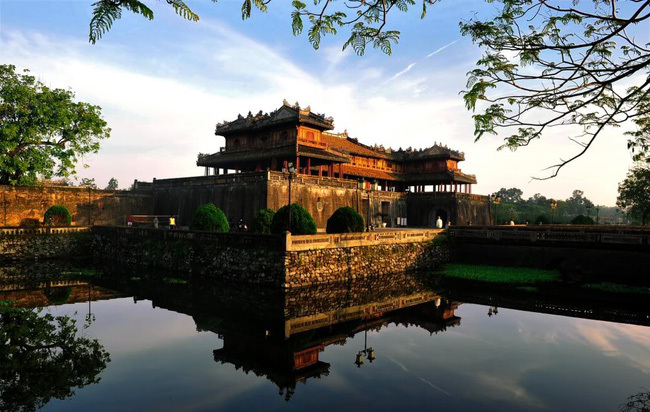 Selecting the right month to visit, Hue will bring you a wonderful experience of discovering more about culture and history here. Since travelers not only enjoy the beautiful scenery, landscapes, historical relics but also have the opportunity to see historic monuments in the special festival. In detail, these perfect destinations are known as romantic Truong Tien Bridge, Huong River and the capital of the Nguyen Lords etc… Beautiful girls in ao dai make a deep impression on every visitors’ mind. At the very first sight, you can feel the peace, slowness in Hue life that many people wish to enjoy. As you know, the climate is an important factor affecting the traveling time. So, the nice weather in Hoi An drops in March – the best month for Hoi An trip. The reason is that the weather is of little rain and cool weather. On the contrary, in the summertime, Hoi An is not too hot, but the average temperature of 28 – 33 degrees Celsius can make visitors feel uncomfortable. About the period from October to December, Hoi An has frequent heavy rains. If you do not want to experience the feeling of sailing on the ancient town, you should not go to Hoi An at this time. In March, Hoi An city seems gorgeous with full of bright sunshine. In addition, little cold air will give the visitors wonderful atmosphere. According to the travel guide, some interesting activities this month are cycling or walking around the ancient town, watching the houses with old tile roofs or just enjoy aromatic lotus tea. And if you looking for the best beaches in Vietnam in March then heading to An Bang Beach in Hoi An. An Bang Beach is the perfect complement to the sightseeing and tourist bustle of town. This time, March, you can enjoy the blistering sun, soaring temperatures and calm waters without the Vietnamese crowd. Da Nang almost has similar weather like Hoi An, so it also becomes the ideal place in Vietnam travel in March. At that time, Da Nang has cool weather and less rain. On the other hand, this time coinciding with the Lunar New Year, visitors feel a bustling atmosphere of celebrating Tet. Visitors can visit many well-known places such as Ngu Hanh Son, Cham Sculpture Museum or Son Tra Peninsula. In the evening, going to Dragon Bridge is a favorite destination for tourists in Da Nang travel. Coming to Da Nang beach in March, you will not have to squeeze for a vacancy at the peak time. Visitors can enjoy walking freely and sightseeing the blue sea. Or you simply drop yourself on the sand and listen to beach sound. This scenery looks so peaceful for all travelers here. From a distant view, there will see these iconic flowers like glittering snowflakes in big white clouds. Surrounded by bright yellow space and light winds, white Hoa Ban decorates the blue sky. Hoa Ban is a priceless gift of spring. 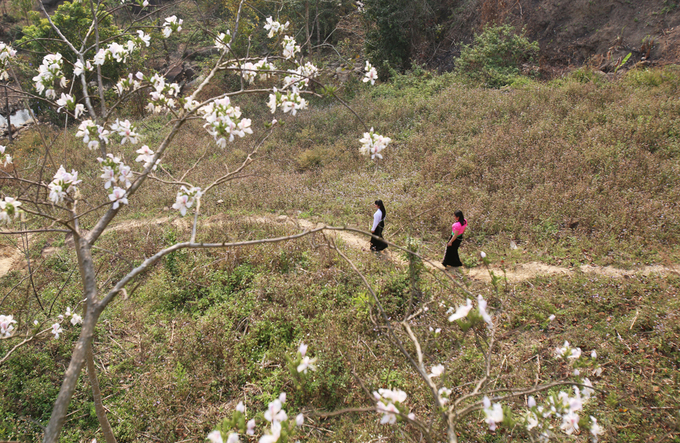 In recent years, flowers have attracted a large number of tourists to Dien Bien province for artistical photography. Every year, Dien Bien organizes Hoa Ban – Dien Bien Festival in March to honor, preserve and promote the cultural heritage of ethnic people. In particular, white flowers are the symbol of the fragile beauty of Thai girls. Also, they represent the longevity, the faithfulness in pure love between couples. This amazing beach in Binh Dinh province is really quiet and attractive places in Vietnam in March. At this time, the air here is also cool, neither too hot nor too cold. And, temperatures in March vary from 25oC to 32oC. The weather this month is still ideal for travel to the beautiful coastal city. 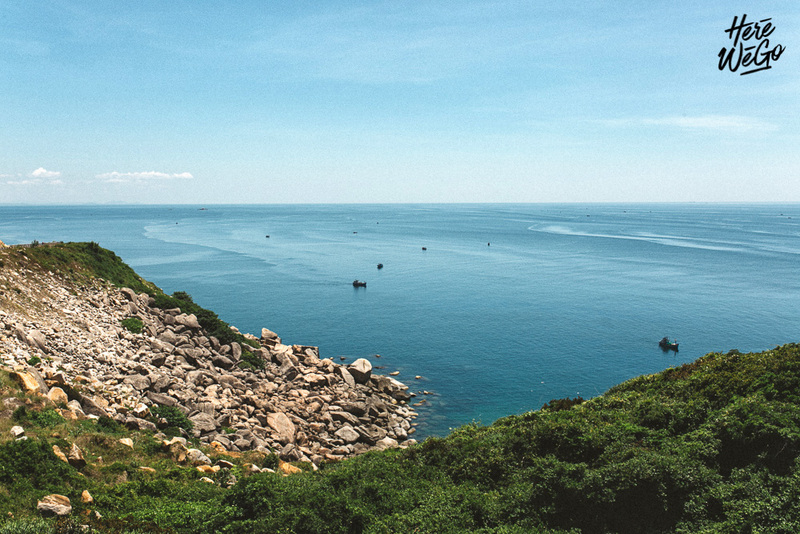 Quy Nhon sea shows wild scenes in both natural landscapes and human life. In the morning, you can take your exercise go swimming each morning in Quy Nhon beach… At night, you will see the whole picture of splendid Quy Nhon sea with numerous “stars” from the lamps of fishermen. Therefore, it certainly becomes most beautiful places in Vietnam in March to visit. Traveling to Phu Yen is the smart choice in many great places regarding Vietnam travel in March. In this month, visitors can feel free to explore every corner of this seaside province under dry season. The weather is not so intense and windy, the sea breezes gently blow all the way and the sky is still blue and cloudless. This gives the perfect chance for travelers to begin their Phu Yen tour. 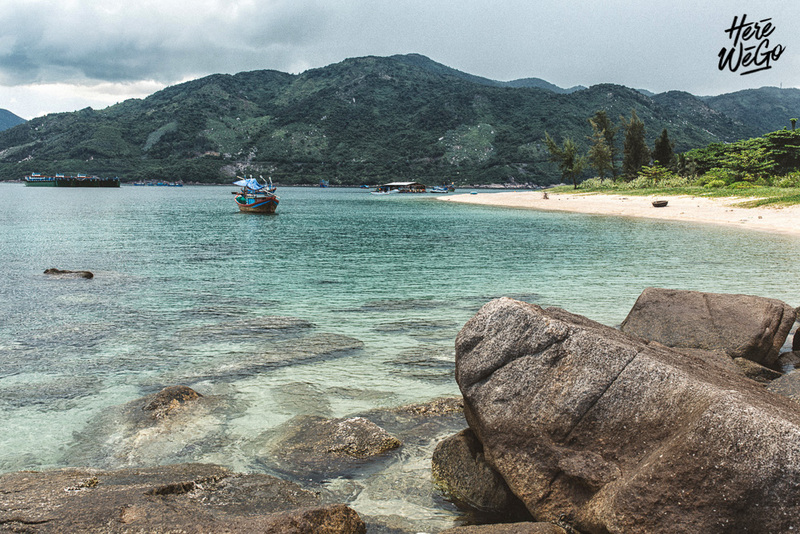 On contrary to crowded beaches in Nha Trang or Da Nang, Phu Yen beach is untouched by tourism. That delivers visitors the feeling of conquering the sleeping beauty. Ninh Thuan weather is a combination of tropical monsoon climate and dry climate. 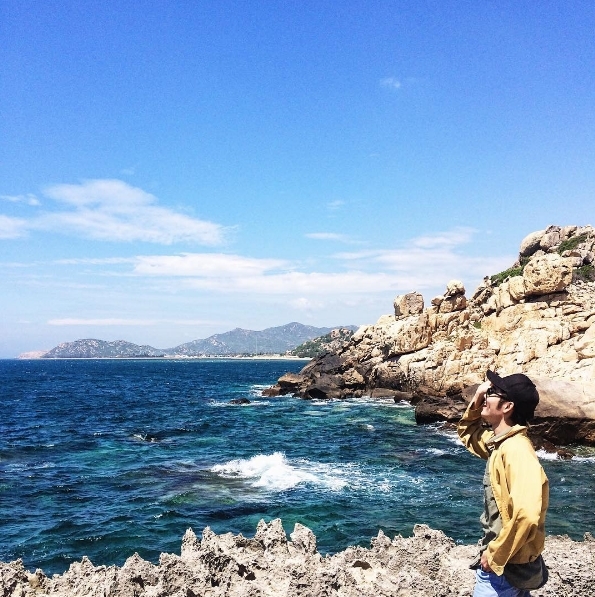 When March comes, Ninh Thuan tour is what you should choose to explore this wonderful trip here. 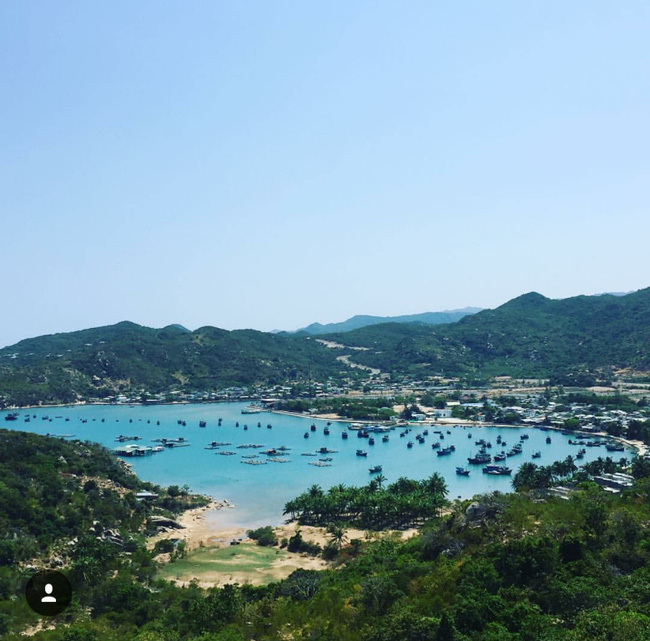 The sunny and windy land always attracts tourists with many beautiful beaches such as Vinh Hy Bay, Binh Son Beach – Ninh Chu Beach, Ca Na Beach, Dinh Nui Beach … These top popular places are notable for soft waves, blue ocean, white sand dunes and delicious seafood. Additionally, travelers can take part in various entertainment activities like going fishing, surfing, or scuba diving to see coral reefs. These joyful activities make Vietnam travel in March in Ninh Thuan more memorable for all visitors. March is coming nearly, so it is time for you to select right destinations to visit. There are lots of beautiful places in Vietnam in March. If you are confused at choosing the favorite attractions, let’s ask the guidance from us – Asiaway Travel. We will offer the customized personal tour in March that suits your timing, personality or preferred experience. One of the most beautiful moments in Vietnam every year, March, will give you unforgettable trips around stunning locations like these useful suggestions above.